S.A.S. 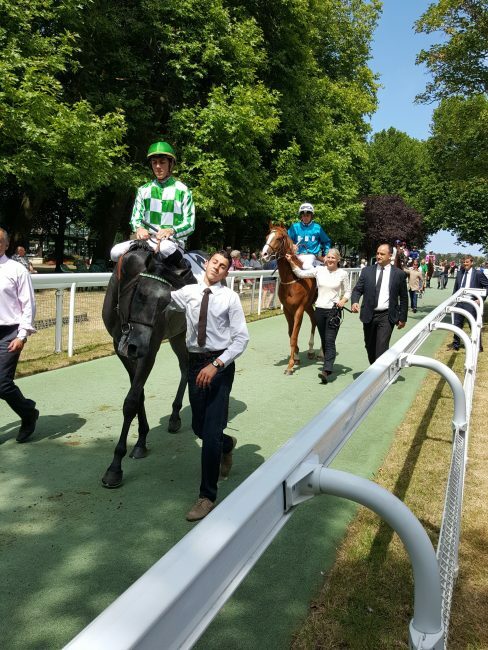 Prince Aga Khan’s horses show well at Deauville La Touques races August 2015. VEDEVANI’S half brother to be sold at Arqana sales. Deauville la Touques race course winners of Sunday’s 9th August 2015, the OSAF Prix de REUX race being led in . The Prince Aga Khan’s horse LORESHO, trained by JC.Rouget, beat K.Abdullah’s SEAPORT, trained by Andre Fabre, into second place. Billabong, trained by P.Bary, came 3rd with Vengeur Masque & Red Galileo coming 4th & 6th respectively.The Prince Aga Khan’s horse VEDEVANI won friday’s 7th August 2015 race PRIX de CREVECOEUR, at Deauville la Touques race course. K.Abdullah’s ANTONOE won impressively in the PRIX DE MARETTES, trained by P.Bary.. With MIDWEEK coming 4th, trained by Christiane Head-Maarek. VEDEVANI’s half brother, by Redoute’s Choice, the horse that joined the Aga Khan’s Hara from Arrowfiel Stud in Australia, is due to be sold, by the Haras d’Etreham, at the Deauville Arqana sales next week.